When going through the reviews online you might be left with the question of what makes a line the best fluorocarbon fishing line? It’s important to understand which fluorocarbon lines will be best matched with what you plan to do while fishing and where you plan to do it. By doing your research and pre-planning what your needs are and will be, that question will be easily answered. Let’s look at some of the fluorocarbon fishing line reviews on the market today. Diameter : 0.006 - 0.032"
Seaguar has a reputation for making quality products and this fluorocarbon leader doesn’t disappoint. It’s built to be very durable and strong. Seagur has designed a line that has enhanced tensile qualities with near invisibility when its launched into the water. Although it has a strong tensile durability to it, the Blue label has very little stretch to it and holds up well. The leader has a great resistance to abrasion so you won’t need to worry about as much wear and tear like with the other brands. Which also means this line can handle tough and aggressive fish without snapping or breaking. This Fluorocarbon line is also known for the easy ability to tie tight knots with and sinks fast and deep into the water. Anglers have mentioned that its versatility and strength really have won them over. The leader fluorocarbon has many repeat buyers due to the strong reputation for quality. You can really tie tight knots with it. Versatile to match different configurations. A bit expensive compared to other fluorocarbon brands but you are getting a high-quality product. Kastking, famous for their high-quality reels, also has been awarded top spots for their fishing line brands as well. The Flurokote is a high-tech designed fluorocarbon line that has an interesting 2 part construction to it. The main line is durable and has a strong tensile strength to it. The main line is then has a layer of the fluorocarbon applied to it to reinforce and give it all the qualities famous with fluorocarbons. One of the benefits of combining both technologies together is a stronger material. The old saying, there is a strength with numbers, can be applied here. The line provides the great flexibility of casting long distances with not suffering from memory issues. Also, the fluorocarbon gives the line added functionality with more invisibility when in the water, less stretch and a stronger total material altogether. Due to the construction of the fishing line, it allows for more line to be on the reel. Versatility with its 2 different types of materials. Anglers have mentioned that this line could snap from time to time. That might be inherent in all lines, though. What distinguishes this line from others is a three-layer coating that provides a lot more strength and resistance to breaking than other fluorocarbon lines on the market. Its 3 layers of coating provide enhanced protection against wear/ tear and abrasion. Like other fluorocarbon lines, it provides the angler with additional strength, durability and resists memory like traditional lines do. What it also does is allows for less visibility in the water so that fish don’t see it and increases your chances of catching the fish you want. Even with the strength of the line, anglers have commented how it’s very responsive and sensitive when in use and that it offers superior ability when casting. Berkley makes a great fluorocarbon line that is built strong and has a high tensile grade. The Vanish has a remarkable transparency in the water and is practically invisible when being used to cast with. Due to the materials used it also isn’t very susceptible to water permeability. Highly flexible with a durable construction, the Vanish has anti-shock and anti-abrasion qualities that make it stand out with anglers. It provides a fluid, consistent casting experience and maintains its physical strength under rugged conditions. Adding to the great qualities of this line is that traditional leaders with this material are generally not as soft and flexible as with what the vanish provides. The Vanish also is very easy to tie knots with and has a reputation with anglers as being a highly capable leader that is difficult for fish to see and is priced right. “Vanishes” in the water- practically invisible to provide the best transparency in water. 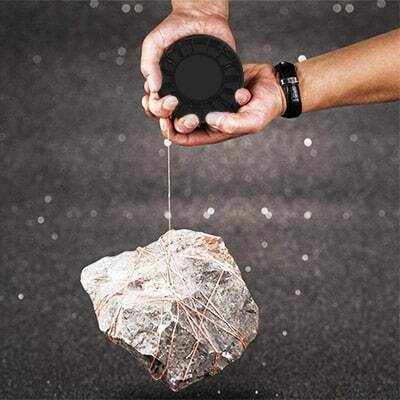 Anti-shock/Abrasion materials- rugged and durable- can handle a lot. Keeps its structure in water- doesn’t absorb liquid, therefore, maintains the integrity of the line. Anglers have commented that the line can appear frayed, but that might be just a defect and one-offs and not indicative of a greater issue- pay attention to it when you first open the package. Seaguar has a well-deserved reputation for creating great products and the Fluoro Premier isn’t an exception. The manufacturer has designed this line to handle a lot with it strong construction made of quality materials. The Premier line boasts a doubled structure that ties knots easily. It handles rugged environments well with its anti-abrasive properties. Like other Fluorocarbon lines, the Premier has great strength and very low memory which creates versatility and longevity with the product. With a market leading tensile strength and durability, you can expect this leader to last for a long time. Easy to knot and smooth, the Premier disappears in the water so that any reflection to startle the fish is at a minimum. Anglers have had great results with this product. Easy to tie strong knots. High transparency in water- disappears when in water. This fluorocarbon line has been created with all the great attributes of most Fluoro lines out there. It has a great strength profile with enhanced durability and easy to create strong knots in the line. The Floroclear has incredible transparency in the water and provides almost total invisibility, which is what you want in a good line so that you can catch fish and not startle them away. With the Floroclear, P-line also has created a fishing line that has amazing casting abilities, with long, accurate casts with low memory. You will catch the fish you want with this high- performing line. Finishing off the list of features that make this line stand out is the silicone finish that P-line applies to the Floroclear line to enhance its performance. Anglers have commented that the silicone does appear to come off too easy- could be a few one-offs, but be on the lookout for that. So many types of fishing lines out there, right? Seems like there are as many fishing lines as there are reels. Fluorocarbon lines are becoming more and more popular and you picked it to enhance your fishing experience, right? because you heard all the good things about them. Let’s look at some of the features of what makes a fluorocarbon line so darn good! It’s all in the compounds. As its name indicates, fluorocarbon lines are made of different materials and compounds. The typical composition of this type of line is carbon, fluorine, and fluorine. They are organic and can be found in nature. When they are bound with synthetic materials, the create a very strong and versatile tool to help anglers catch fish. The line is manufactured and spun out with the result being a reinforced strand of material that is transparent in water, has very little memory and has the right amount of stretch needed to hold up to aggressive species of fish. What’s the Difference Between Other Fishing Lines and Fluorocarbon? There are few standout features of this fishing line that explains why it’s becoming the go-to choice for anglers. First, it doesn’t break down from exposure to UV light- which is a huge plus. Also, it doesn’t degrade with being exposed to different types of environment that the competing monofilament would. It’s a professional grade and is resistant to abrasion. Fluorocarbon fishing lines do offer a lot to anglers when it comes to versatility and raw performance for most any fishing scenario. However, there are some drawbacks as well which we will discuss in a bit. So, what should you be taking into consideration when you are looking for the perfect line for yourself? It’s important to do some pre-planning and have an idea as to what you want to do with it and how you will use it. What type of water will I be in? Will fluorocarbon be useful in muddy waters as much as clear waters? Fluorocarbon excels in clear lakes and other water sources where the line can disappear. That might not be as useful in waters that have more debris in them. Look for brands that have a good reputation for strength and low memory- the line will last longer and it won’t snap during abrasive encounters such as hitting rocks or the edge of a dock. Not all brands are created equal so reputation matters. Most fluorocarbon lines are waterproof- some have better results in this area than others. Look for brands with a good reputation. Any liquids that permeate the line alters the constitution of the line and can affect performance. More and more fluorocarbon lines are being manufactured with reinforced materials to help alleviate some of the issues that are intrinsic with the type of fishing line. Look for lines that are engineered to minimize issues through extra coatings on the line or special materials incorporated in the manufacturing process. A question that comes up often is why would someone pick a fluorocarbon line over a monofilament or vice versa. A good question of course, so let’s discuss their strengths and weaknesses and see which one is best for you based on your fishing needs. Let’s break it down into categories so that we can get a good summary of the differences. Fluorocarbon doesn’t absorb any water and that makes it retain its strength. It also tends to sink deeper than monofilament. Monofilament is lighter, less rigid and can absorb more water into the line, which means its typically not as strong as a fluorocarbon line. There is also a degradation of the line over time. Choose a fluorocarbon if you want the bait to sink deep into waters and keep its strength. Durable and strong- typically much more resilient in all case scenarios. They don’t snap as easily as other lines including monofilaments. Fluorocarbon doesn’t absorb water so its constitution doesn’t change when submerged as monofilaments do. Monofilaments tend to get softer in the water. Manufacturers of fluorocarbon lines add UV protection so that there is even more protection against the elements. This makes sure the line doesn’t degrade when exposed to the sun for long hours. Very little stretch in the fluorocarbon lines adds for more strength as well. Fluorocarbon lines are famous for their total invisibility in the water- this makes them perfect for clear lakes and other water sources where the line can disappear and fish won’t be startled or scared off. Monofilaments are usually sold in different colors for each environment they are used in, which could get complicated picking out the right hue for the right environment. Although fluorocarbon lines are pricier than others, they do last longer and are stronger. Anglers, to make up for the cost difference with a monofilament, will use the fluorocarbon as a “leader” on the line so there are all the added benefits of a fluorocarbon, without having to use it in all the total line used for the cast. Monofilament is usually cheaper and designed for all year, all usage scenarios- it’s a general fishing line that works well but without the special properties of the fluorocarbon. Monofilament and fluorocarbon both have approximately the same width in line diameter. One area where the diameter of the line matters and where the fluorocarbon really shows its capabilities is in its excellent transparency. You can increase what Is called the pound test and use a line that has more strength and resistance to breaking all without creating a situation where the fish will get startled like they would with a similarly sized monofilament. For a more detailed review, please check the pros & cons of fluorocarbon and monofilament lines! Because species of fish in saltwater tend to be bigger than freshwater, make sure you get a line that is rated to handle much heavier fish. Due to the transparency of the fluorocarbon line, you can increase the pound test of the line without worrying about fish being scared off. Having a fluorocarbon line that has a good reputation in handling the elements is critical. You want a line that has great UV protection, strong anti-abrasion properties and can handle the tough saltwater environment. Fluorocarbon is the new kid on the block when it comes to fishing lines. They satisfied some big gaps in what anglers were asking for. Due to the construction of this type of line, it can be reinforced with many different attributes to match just about any fishing scenario. Let’s look at some of great and some not so great aspects of the mighty fluorocarbon line. – Super strong and reinforced to last- the fluorocarbon line is known for being a beast in the water. It can handle bumps and drags across rocks and the water floor. Also, since it’s designed to be resistant to UV rays, the fluorocarbon line does not degrade like other fishing lines when exposed to sunlight. It makes the line stronger and last longer with less replacement over time. – It disappears in water. Great right? The fluorocarbon material has the same reflective qualities as water itself. It’s virtually invisible once you cast the line into the water. This makes for a compelling reason to use it in clear waters to avoid scaring off sensitive fish and going home empty-handed. – Its manufactured to be highly anti-abrasive which means that it can deal with rough treatment. Since fluorocarbon lines can sink to great depths, they do drag on the water floors a lot and therefore need to be strong enough not to break or snap. – Since water doesn’t permeate the line itself, there is no degradation based weakness in the line one you submerge it in water. It keeps the consistency whether its outside or inside the water. This consistency is something anglers appreciate because fluorocarbon lines act and respond the exact same way every single time. – Because the fluorocarbon line is invisible, you can increase the thickness of the line without it impacting on your fishing ability like what would be the case with if you used monofilament line with an increased diameter. Fluorocarbon allows you to use a stronger, thicker line without any of the drawbacks associated with it when you take into consideration fish seeing the thicker fishing line and getting startled ( like with a nylon based one ) and ability to catch bigger fish. – The fluorocarbon line has many advantages but because it’s rigid and has more memory issues than other fishing lines, it can be a pain to manage. You must “babysit” it more than other fishing lines and take care of the memory issues after each cast/fishing trip. – Fluorocarbon lines don’t handle sudden shocks or pulls on the line as others do. It’s far more sensitive (which can be a good thing) so you really feel anything that happens. Especially with an aggressive fish. 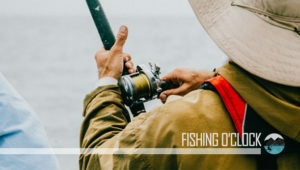 – In fishing techniques that rely more on fishing closer to the surface, this isn’t the best line to use since it sinks deep and fast. – You need to make sure the line is wet before you tie a knot or it just won’t work. 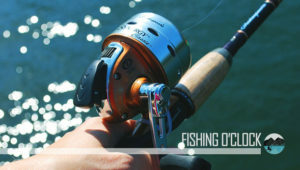 Price – These lines are generally more expensive than other fishing lines. Understanding the benefits and drawbacks of the different fishing lines is key to any good buying decision. 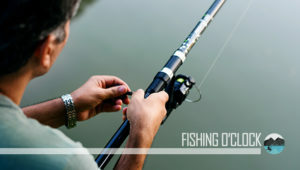 It all comes down to what type of fish you want to catch, where you will be fishing and what you feel comfortable using. All fishing lines have their benefits and drawbacks. As you can see from the above lists, the fluorocarbon line has many more benefits than drawbacks and you will be satisfied with choosing it for your fishing needs. Look to change your line around every 2 years or when/if it snaps. Make a habit of checking your line out before and after each fishing trip to see if there is any fraying or damage. Since these lines handle a lot, you probably won’t need to be too worried about damage unless something out of ordinary occurs. Q: What are fluorocarbon fishing lines made of? A: The ‘recipe’ for fluorocarbon lines can change based on the niche of fishing, brand and/or water source. Typically, it’s made of 3 organic materials- consisting of Chlorine, carbon, and fluorine. These are then mixed with synthetic compounds to make the strong and durable fishing line. Q: Why should I be using fluorocarbon instead of other lines that seem to be more common and less pricey? Unlike other lines, you only must change fluorocarbon lines on average every 2 years. A great investment and less hassle. Q: What’s the best fishing environment to use fluorocarbon lines in? A: Due to their invisibility in clear waters, lake or clear saltwater sources are best for these types of lines. Their advantage lessens in this perspective when its used in darker/muddier waters. Q: Why is fluorocarbon line so much more expensive compared to monofilament fishing lines or braided lines? If you still have doubts, we’ll cut through some of the confusion by taking you through the different kinds of fishing lines available. Here’s what to look for if you want to buy the best braided fishing line possible and the monofilament line reviews. Fluorocarbon lines are another great tool and a value-add to another angler’s tool chest. fluorocarbon lines are the newcomers to the world of fishing lines and are made with synthetic and organic compounds which when woven into very resilient strands, they create a strong, memory resistant material that anglers have come to prefer over other fishing lines out there. At one time, fluorocarbon lines had a small market share and now they command 1/3rd of the market. There are many aspects to consider when it comes to deciding which is the best fluorocarbon fishing line! Generally, look for lines with high UV protection, a small diameter, and low memory. It’s important to understand which fluorocarbon lines will be best matched with what you plan to do while fishing and where you plan to do it. 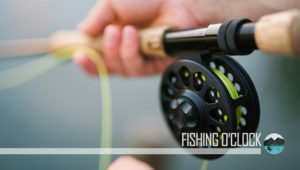 A little research and reading these fluorocarbon fishing line reviews will help you understand fully what you will need on your next great fishing trip.